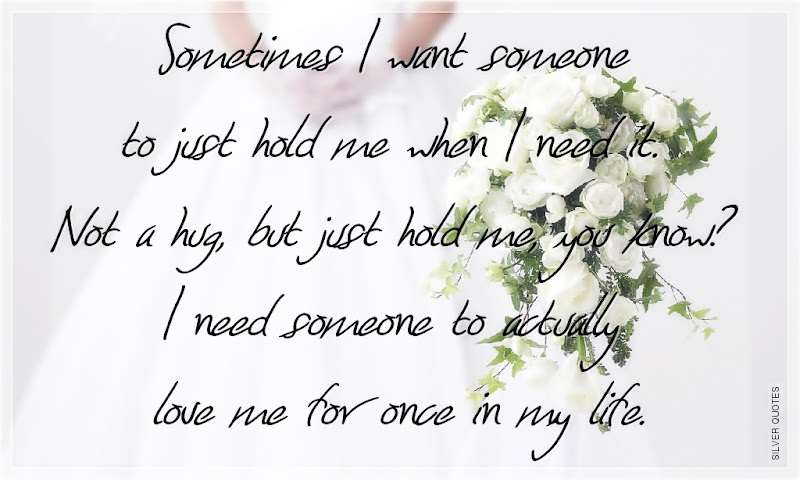 Sometimes I want someone to just hold me when I need it. Not a hug, but just hold me, you know? I need someone to actually love me for once in my life.